Using the data collected from a rounding solution for patient safety and quality rounds, leaders can easily determine areas that need correction or improvement, communicate these quality measures to the team, and provide the resources and training necessary to promote learning and continuous improvement. Using a structured hourly routine, caregivers can contribute to the efficiency, safety, teamwork, as well as address patient satisfaction. With purposeful rounding, an environment of transparency is created and healthcare organizations will see a reduction in patient anxiety, patient falls, light use, as well as readmission rates. A transparent environment creates a culture or trust between patient and caregiver and it all begins with rounding. Inevitably deficiencies or issues are discovered during the rounding process. A robust rounding tool will allow and organization to not only correct the issues as they occur but also helps an organization track data so that processes for continuous improvement can be created. Taking a proactive approach reduces the likelihood of experiencing adverse events. Manual rounding processes or a lack of rounding does not provide a healthcare organization with the proper data to make decisions. Scrolling through paper can take hours of time which could be better spent directly interacting with patients. With an automated rounding solution, analytics and reports can help an organization make management decisions in real-time. All healthcare organizations are working towards a culture of safety but some may struggle with exactly how to reach their goals. Rounding can assist these organizations by being a valuable tool in this process. By reporting and learning from patient and quality rounds, healthcare leaders, managers, and team members can create a true culture of safety. 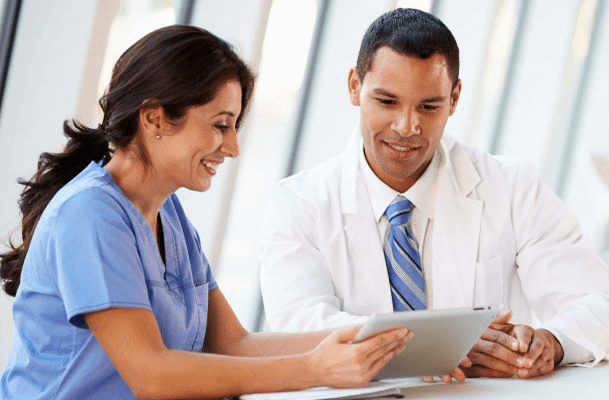 With the proper rounding tool, your healthcare network can become a true learning organization with a focus on high quality safe patient care. Ensure Adherence to Hand Hygiene Policies	CJR Went into Effect on 4.1.16. Is Your Hospital Ready?